Vizzlo is an easy, and elegant data visualization platform that increases productivity by providing users with extremely intuitive online tools to create designer-grade charts and diagrams in no time. We are helping hundreds of thousands of users in more than 120 countries create marketing reports, financial forecasts, track progress, improve project management, and even timeline events. It is as easy to use, as importing your data, adding your corporate look if desired, and sharing it online. Easy, fast and a certain sophistication for my presentations. Pros: I'm using it regularly 3 or 4 times a month for my various presentations, internally and at conferences. It's very easy and very fast to use. Usually I have a rough idea in mind, and it took 5 minutes to look for a suitable template and another 5-10 minutes to fill in my data, adjust it (title, color etcetera) and download the final file to include it into my presentation. Of course, the templates are much more sophisticated than anything I could do by myself. Another big pro: I never neeeded customer support. Cons: Some small things could be more intuitively, like changing fonts. Also a selection of some basic colors would help me, as I'm not good in selecting the precise place in the color matrix. Pros: I love Vizzlo! I started using it two years ago. I don't want to miss it anymore. Never since then, I even tried to build a business graphic in powerpoint. Vizzlo is my place to go if I need something that looks professional. Cons: It is hard for me to write something that I don't like. A few times it took me a while to find the right chart. Pros: Creates professional, polished charts really quickly. 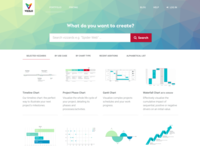 I use Vizzlo since a few months to create diagrams and plan my projects. It's really easy and I get results that look perfect. 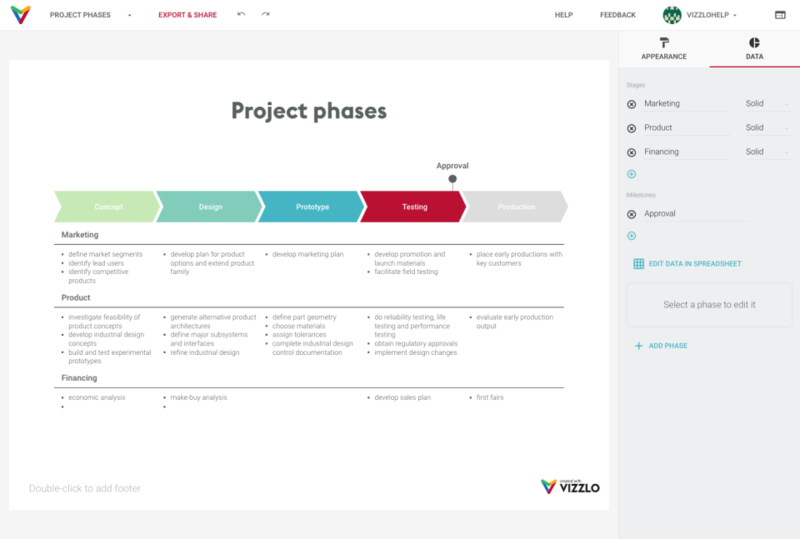 Cons: The only complaint from my side is that Vizzlo could offer more different graphics types especially for strategic planning they currently have only "Business Model Canvas" and "Balanced Score Card. 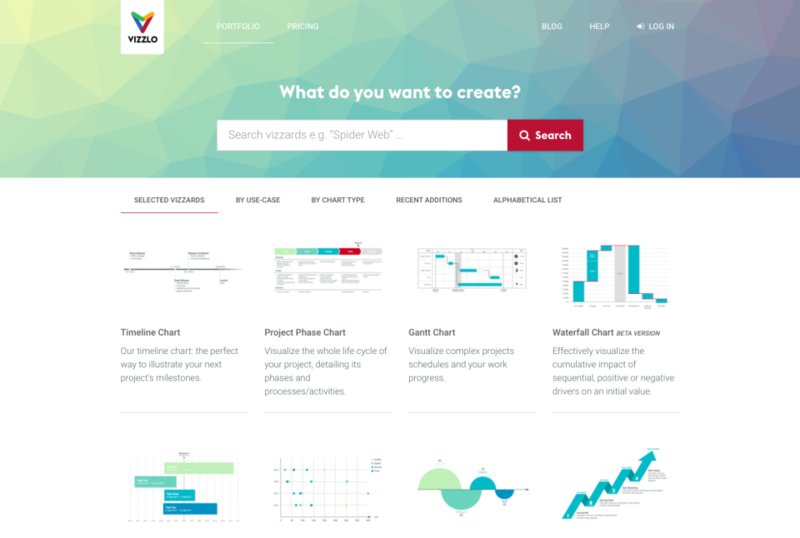 Overall: Making a Vizzlo chart is easy and fast because it has a plenty of templates, it saves you a lot of time and gives you better results. Since everything is online you can use it immediately with no need for an installation. 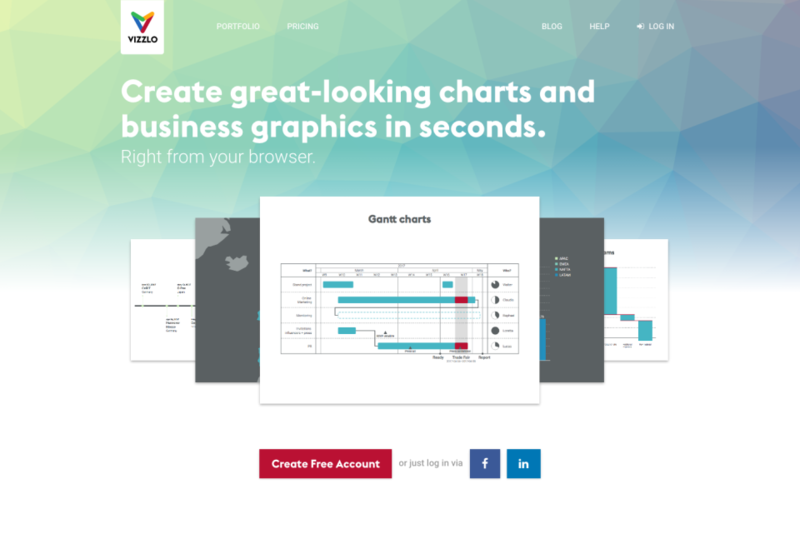 Pros: Vizzlo has a great Portfolio of charts and graphics. It's easy to use and saves so much time creating presentations. It's also kind of fun to experiment with different chart types, sometimes it really helps you to get a new perspective on the data/facts you're trying to present. Cons: I can't wait to have more options to personalize my visualizations in the future, so they would fit even better with some corporate design pre-set presentations. Overall: Vizzlo is such a useful tool and saves so much time. Everyone who was to create databased presentations on a regular basis should try Vizzlo! Pros: I love Vizzlo, it is simple, the themes are diverse and unique making customizing fast and easy. They have a great variety of unique graphic organizers to standard ones and love how simple and easy it all is. Cons: There are some preset features where you can't enlarge the font and sometimes that is frustrating but there are creative ways to get around that. Pros: This software is super easy to use. You have a ton of different charts, can modify to your organization's colors, and add in the information on a spreadsheet that directly imports it into the graphic. No more finding graphics on iClipart and modifying in Illustrator and InDesign. Cons: You have to join to get rid of the Vizzlo logo and download in anything other than png. Overall: So much easier than Excel, with better graphics and less tedious than building from scratch each time. Pros: Very user friendly! Vizzlo has allowed me to manage my personal finances, by providing me with a way to easily create charts and visualize where my money goes. I can plan my financial goals effortlessly, and there is no need to mess with Excel anymore. There are so many templates available. Cons: I have utilized Vizzlo for a short period of time and I have not experienced any cons yet. I will continue to use it and will provide any feedback if any. Pros: Most of the supplied chart templates look really great and it is easy to get results very quickly without having to tinker around like with many other tools we come to loath. Cons: For certain types of charts I am missing fine tuning capabilities to adapt from properly to various sizes in presentations. Cons: Am I easy to please, am I not critical? I can´t think of anything particular that I don´t like. But I´m not the most heavy duty user with the most severe challenging task. Cons: Some charts and features are missing . Overall: Vizzlo is not a presentation program, but a good tool to make any kind of graphics - that you can easily import in a presentation or use for reports etc. Pros: It's a decent program to create charts, it offers a sufficient range of graphic samples with several color options. The result can be downloaded in PNG file format for free. Cons: The cons of this software is that it not completely free, even when downloading a file in free version it has watermarks on it and in free version one can download the file only in PNG format, PDF and VZL formats are premium only. The downloaded file in PNG is not in great quality either, which can be noticed by zooming it. Pros: Very good platform, it has many templates for all kind of graphics I use in business. 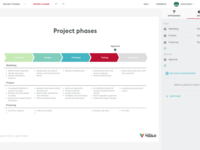 I started using Vizzlo doing project planning, meanwhile, I make all my presentations with it. Cons: I really miss a mobile app for my tablet. This would give me more flexibility, esp. when I am traveling. Pros: Figures. Great variatey , very user friendly and they all look great! The team and the customer service is something to note, they are great, responsive and helped me a lot in my subscription. Cons: None. I just don't see any draw backs at the moment. It seems they put a lot of effort in this product. Pros: - Giant selection of predefined plot styles and suggestions. - Great simplicity in design. Cons: - No deep customization possible. - No possibility to enter big data. I like Vizzlo as it's an easy and fast tool and the best - you get pretty graphics. Pros: Vizzlo supports my daily work as a Marketing Manager. I get very easy and fast nice graphics that feature my data I want to present in a pretty way. Cons: At some graphics I would like to enter more data than possible. So can't wait to see them enlarged. Pros: Vizzlo has a lot of different great looking templates that you can utilize to create visualizations for your data. It's super easy to modify the look of it as well. Cons: It's hard to justify the cost since all spreadsheets have similar tools (though maybe not as visually appealing). Pros: easy to use and results in great presentations. i also like that i can look at use cases which helps me in deciding which graph suits me best. Cons: not so much, the service is great so that i usually get quick help to sort out my issues.